The subtle silhouette may fool your competitors but after you take that first swing, they’ll be on to you. 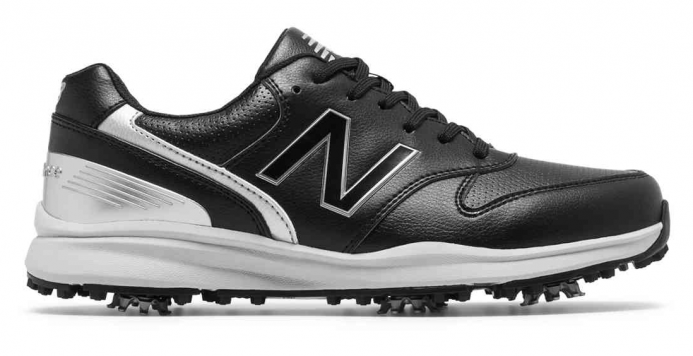 The NB Sweeper features a waterproof microfiber leather upper, FastTwist 3.0 Cleat System and highly durable Ndurance outsole. The midsole support combines CUSH+ and ABZORB cushioning to help support your best game ever. ABZORB midsole cushioning increases cushioning compression resistance and aids in absorbing forceful impacts, while CUSH+ foam offers ultra-soft cushioning while maintaining stability.